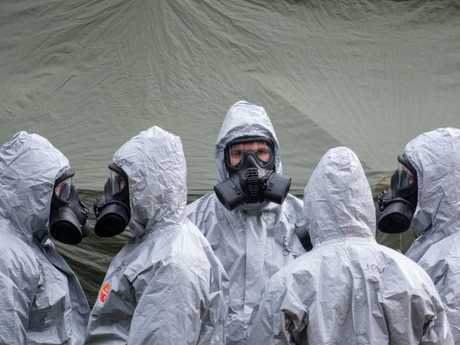 HUNDREDS of people who visited the Zizzi restaurant or the Mill pub in the English city of Salisbury have been told to wash their clothes after traces of a nerve agent used to attack a former Russian spy last week were found at both sites. Public Health England said there was no immediate health risk to anyone who may have been in the restaurant or the pub, but there was a small chance that any of the agent that had come into contact with clothing or belongings could still be present in minute amounts and contaminate skin. Former double agent Sergei Skripal, 66, and his daughter Yulia, 33, have been in hospital in a critical condition since March 4, when they were found unconscious on a bench in the southern English cathedral city of Salisbury. 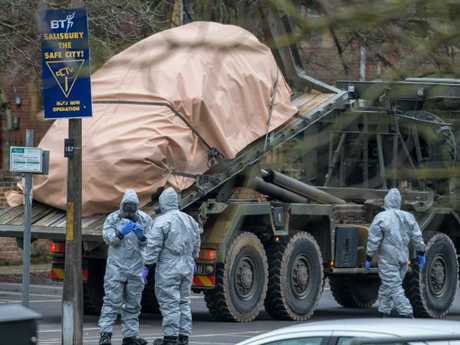 "We have now learned there has been some trace contamination by the nerve agent in both the Mill pub and Zizzi restaurant in Salisbury," chief medical offer Sally Davies said on Sunday. 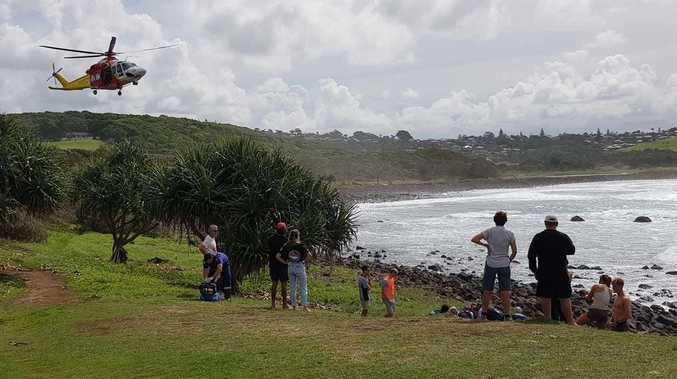 She said she was confident that no one who was in the restaurant or the pub on March 4 or 5 had been harmed, but their clothing should be washed and personal items like phones wiped as a precaution against any long-term exposure to any substance. 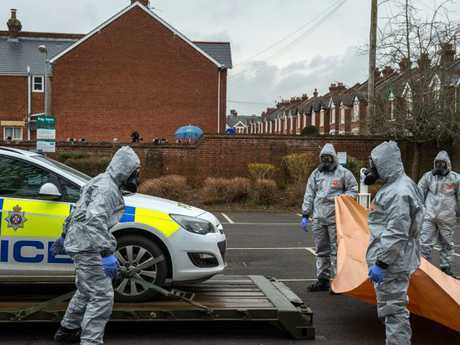 Mr Skripal and his daughter remained in a "critical but stable condition in intensive care", the chief executive of the local hospital said at a news conference. A police officer who initially responded was "conscious and in a serious but stable condition", she added. 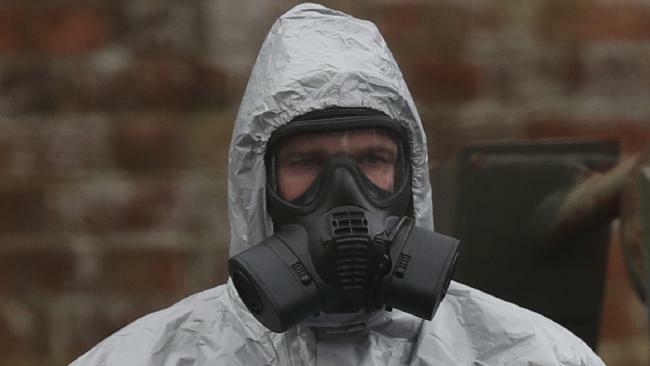 British police have said a nerve agent was used against Mr Skripal and his daughter, but have not made public which one. Public Health England said it had weighed new evidence before issuing its advice on Sunday, and it said the general public had not been at risk in the days since the attack. "This is about a very, very small risk of repetitive contact for any traces of contamination that people may have taken out," Public Health England's deputy medical director Jenny Harries said at the same press conference. "In risk terms one or two days is not what we are concerned about, what we are worrying about is whether there could be an ongoing risk that could build over the future." Cordons were still around the restaurant and the pub on Sunday, and police could not say how long they would remain. A number of police cars and other vehicles were removed from a local car park by soldiers wearing protective clothing and gas masks on Sunday, a Reuters eyewitness said. Items from the Zizzi restaurant, including a table, had been removed and destroyed, the BBC said. Local residents said they were concerned by the warnings about contamination issued to the people who had visited the venues.